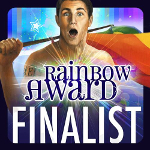 Under Leaden Skies was a finalist in the Rainbow Awards! (Category Gay – Historical) w00t! Yay, etc. Many thanks to Manifold Press for entering it (they enter all their books – one of the many reasons I chose to work with them), and to all the judges who volunteered their time to read, score & comment on the huge number of entries – and, of course, to Elisa, without whom the Rainbow Awards wouldn’t exist. I had a new story out in November! 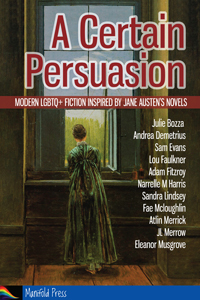 Man of War can be found in the anthology A Certain Persuasion, published by Manifold Press on 1st November, and imagines the adventures of William Price after he stepped off the page of Jane Austen’s Mansfield Park and onto HM Sloop Thrush. I feel like I’m struggling a bit, personally, at the moment. Many factors: politics, time of year, feeling restricted/compromised by past choices. All stuff I try to put to one side when I can’t do anything about it, but it does still seem to wear me down from within. I know I’m not the only one; and I know also that other people are struggling more than me… but I think the more of us speak up & say “I’m struggling, this is hard,” the less alone we can all feel. Writing-wise, I’ve not managed anywhere near as much as I’d hoped/planned this year. There’s been a lot of change in my life, so basically I now have a lot less time to myself – in itself, this is not a bad thing, but of course it does impact on my writing because I’m now trying to squish all the “me-time” things (including writing) into a smaller space of time. Then there’s the “oh god, can I do it again?” fear which I had been warned about, and am mostly countering by reminding myself how rubbish Under Leaden Skies was in its first draft, and how many of the things I love about the story only came to me during edits.